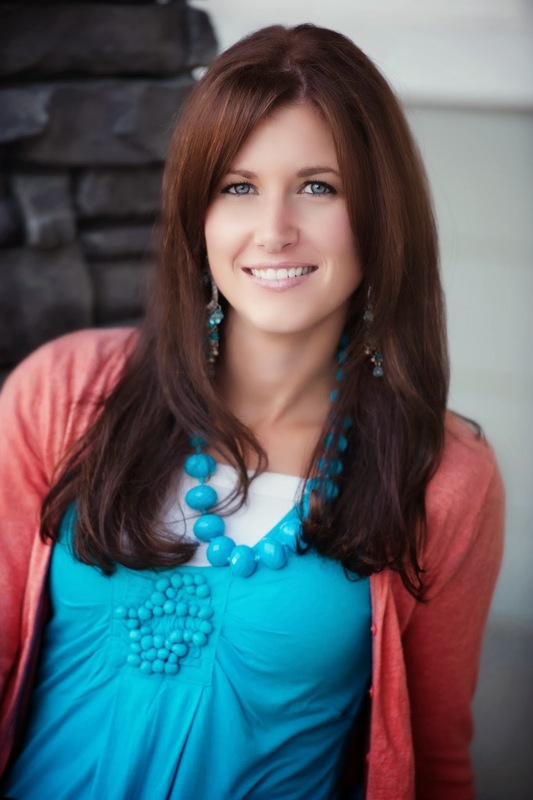 Today I have the pleasure of welcoming author Sara B. Larson to the blog as part of a blog tour for her novel, Defy. We also have an awesome giveaway for you guys, so after reading the interview and checking out Defy be sure to scroll down and enter! 1) Hi Sara! Welcome to Bookish! 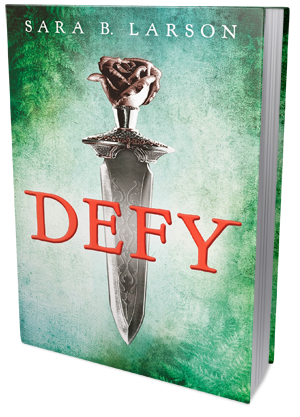 I'm so delighted to be able to chat with you about your YA Fantasy novel, DEFY! How would you describe DEFY to those who haven't heard of it yet? I’m so happy to be here! Thanks for having me! 2) Could you tell us a little bit about the inspiration behind it? DEFY came from a very difficult period in my life, when I lost someone I loved. I was so upset by his death that I couldn’t write anything, but a friend of mine told me to stop trying to write a book and just write what I was feeling. So that’s exactly what I did. I sat down and wrote a scene, not intending for it to go anywhere…but then I got curious about the characters. This whole fascinating world unraveled itself and I realized Alexa had a very intriguing, difficult, but ultimately amazing story that needed to be told. I threw myself into that writing and from there the story took on its own life. It became a story of survival and moving forward, a story of what true courage and strength is, and a story about the many different kinds of love, of hope (even in the most desperate of situations) and risking everything for the chance of a better future. 3) Did you have to do any research for your book? If so, what was the most interesting thing you've learned? I did do some research on jungles and a little bit with the terminology for the sword-fighting scenes. I got to go to Cancun with my husband after I wrote DEFY and it was amazing to wander through some landscapes that were kind of jungle-like and pretend I was Alexa. It was even pouring rain! I also had my son, who is in a Chinese immersion program, help me come up with some of the words and phrases for the language in Blevon (a neighboring kingdom in Alexa’s world) because I envisioned that kingdom as having an Asian influence. So he helped me come up with words and phrases that were based on Chinese for their language. 3) Is there a specific character you identify with? Even though I’ve never had to disguise myself as a boy, I can definitely relate to Alexa in some ways—in her vulnerability that she has had to bury to keep up her disguise, in her confusion about who she truly is and in her struggle in dealing with grief and loss and still staying strong and moving forward. I also can relate to her stubbornness and determination to never give up, no matter what. I am also very stubborn and once I have a goal, I refuse to give up on it. 4) What was the most fun part of writing DEFY? Definitely the scenes with a lot of romantic tension or rapid-fire dialogue. I’m a sucker for romance and yes, the kissing. I know a lot of people hate writing kissing scenes, but I actually have a lot of fun writing them. I also enjoy trying to write dialogue in a way that is entertaining, with a lot of voice, and surprising bits of humor. Especially since there are a lot of tense situations in DEFY, those scenes are really enjoyable to create. There is a certain scene in a tent, when Alexa is literally stuck between two very attractive men that was way too much fun to write. 5) Can you share with us a few of your favorite quotes from DEFY? 6) What are some of your literary inspirations? Favorite books/autors? I have a wide range of literary heroes. J.K. Rowling is absolutely at the top of the list. What she created with HARRY POTTER is absolutely beyond amazing and I just stand in awe of her. No matter how many times I read those books, I just love them more and more. I also admire Leigh Bardugo’s work, Rae Carson and Kristin Cashore. They are all brilliant fantasy authors. Marie Lu’s LEGEND series was fantastic and it’s mindboggling that she wrote that series without an outline! As a teen my favorite books were THE POISONWOOD BIBLE and pretty much all of Jane Austen’s books and Jane Eyre. 7) Are you working on a new book/series now? If so, when can we expect it? Can you share some juicy details to keep our appetites going? I am currently in revisions with my amazing editor, Lisa Sandell, for the sequel to DEFY, currently scheduled for next year. Hmmm, not sure what hints I can give, except that in DEFY, we see a fairly narrow view of Alexa’s world, because it’s from her point of view, and she has a pretty limited knowledge of what’s going on. But in the sequel, that view begins to crack open, expanding and bringing in much more information about what’s really going on in Antion, Dansii, and Blevon (the three kingdoms in DEFY), and of course there’s even more fighting, twists, political intrigue—and yes, more kissing!—to hopefully keep you flipping pages!